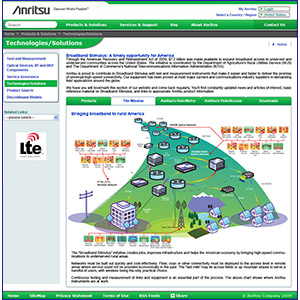 Anritsu is a market leader in highly specialized test instruments which are used to troubleshoot wireless antennas and cable base station. One of the best ways to enhance organic search traffic is to create educational content and portals that the search engines see as worthy of a good ranking. We have been able to significantly increase organic search traffic for Anritsu by creating informational portals on industry trends and government initiatives. We make sure the portals are chalk-full of industry data, special content, and offers for goodies such as posters and testing guides. Let Beasley be your Silicon Valley SEO Company; we’ll increase your leads, sales and bottom line. Call us now.